The most complete overview and assessment of Mormon village studies available, this volume extends the canon twofold. First, it presents a rich composite view of nineteenth-century Mormon life in the West as seen by qualified observers who did not just pass through but stopped and studied. Second, it connects that early protoethnography to scholarly Mormon village studies in the twentieth century, showing their proper context in the thriving field of community studies. 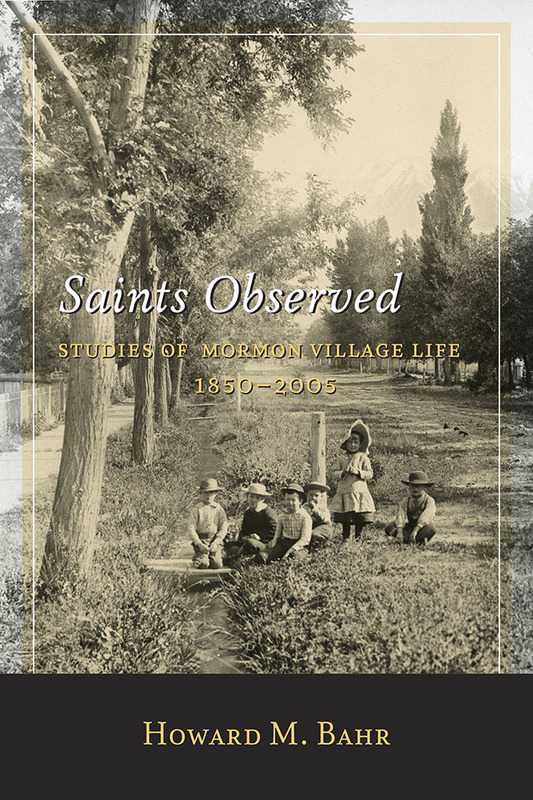 Based mostly on nine famous travelers’ accounts of life among the Mormons, including Richard Burton, Elizabeth Kane, Howard Stansbury, John Gunnison, and Julius Benchley—Bahr’s volume introduces these talented observers, summarizes and analyzes their observation, and constructs a holistic overview of Mormon village life. He concludes by tracing the rise and continuity of Mormon village studies in the twentieth century, beginning with Lowry Nelson’s 1923 research in Escalante, Utah. Over the following three decades, the genre expanded beyond Nelson and his students, becoming more sophisticated and interdisciplinary; by the mid-1950s it was a subfield within the respected arena of community studies. Researchers continued to study Mormon communities in the following decades and into the twenty-first century. Howard M. Bahr is a professor of sociology at Brigham Young University, where he teaches social theory, the sociology of religion, and ethnic relations. His recent books include Toward More Family-Centered Family Sciences: Love, Sacrifice, and Transcendence (with Kathleen S. Bahr) and The Navajo as Seen by the Franciscans, 1920–1950.